Utilizing the elements of effective leadership—purpose, trust, focus, leverage, feedback, change, and sustainability—education leaders can overcome any challenge. 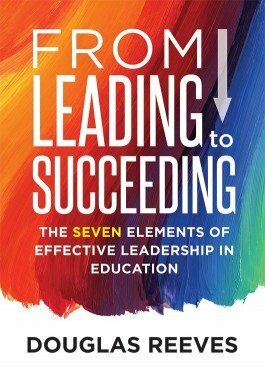 Utilizing the crucial elements of effective leadership—purpose, trust, focus, leverage, feedback, change, and sustainability—education leaders can overcome the many challenges they face in their profession and learn the skills and characteristics they need to succeed. This book synthesizes research from 21st century sources and confronts prevalent leadership myths, while offering guidance on best leadership practices. Learn about the seven elements of leadership and why they are important. Study the best research available on leadership, coming from diverse research methods and perspectives. Gain guidance on how to tell the difference between best and worst practices in leadership. Examine elements to assess whether an organization is ready for change. Explore a model for reflecting on, self-assessing, and synthesizing leadership experiences and research on effective leadership.